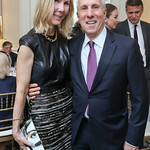 Fired by her passion for the city’s opera, Washington philanthropist Susan Lehrman fused the worlds of arts, culture, politics and diplomacy into one by hosting the Washington National Opera‘s signature annual benefit May 21 for the first time ever at the Embassy of the Russian Federation. 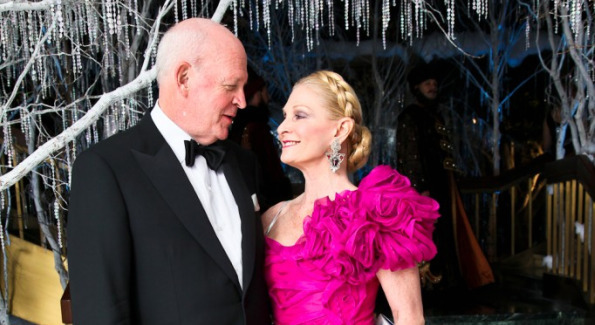 Michael and Susan Pillsbury at the Opera Ball. Photo by Tony Powell. 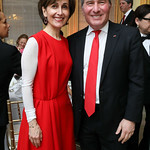 Once a forbidding symbol of Cold War isolationism, not one dazzling detail appeared overlooked at the stunningly-decorated embassy by the Lehrman and this year’s hosts, the Russian Federation Ambassador Sergey Kislyak and his wife Nataly Kislyak. 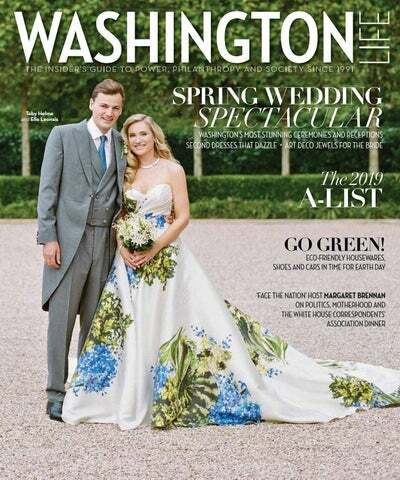 Mrs. Lehrman and her husband Samuel, an heir to the Giant Food chain, reportedly went all out with a personal gift of $500,000 to help this year’s Opera Ball raise a sorely-needed $1.5 million for Washington National Opera programming. 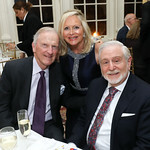 “Thanks to the Lehrmans’ generosity, 100 percent of Opera Ball proceeds tonight went directly to our programming, education and outreach programs,” said Ken Feinberg, the Opera board’s president, who like most appeared utterly awe-struck by the extravaganza. 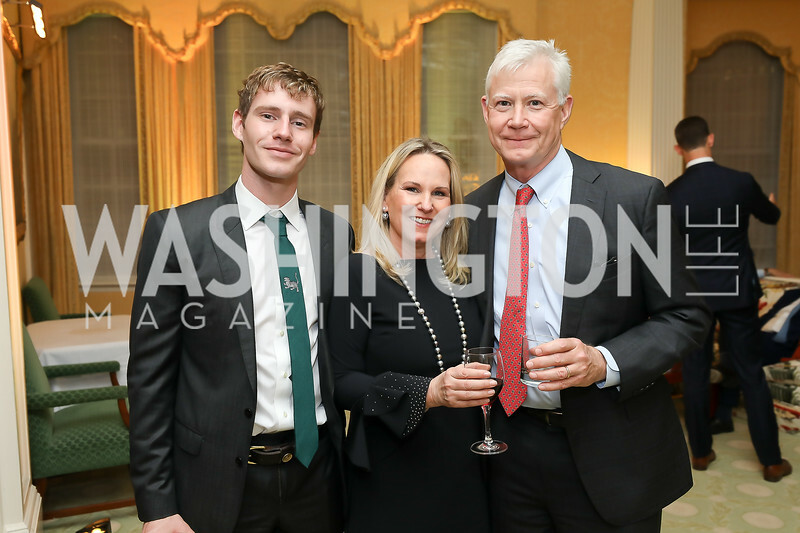 Arriving guests strolled down a long red carpet past huge images of some of Russia’s iconic architecture, including the St. Basil’s Cathedral, the Hermitage and the Winter Palace, which were projected five stories tall onto the embassy’s façade on Wisconsin Avenue. One of the largest embassies in the city, the compound atop Mount Alto occupies one of the highest points in the District. It was built in the early 1960s during the height of the Cold War by acclaimed Soviet architect Michael Posokhin, who saw to it that each room honored a distinct region or element of Russia’s history. Susan Lehrman and her design team helped seamlessly celebrate this history, adding entertaining, often whimsical details. 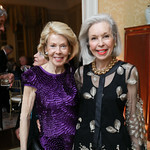 What emerged was clearly the biggest social event of the year, and what several social doyennes whispered just may have been the most dramatically staged gala ever thrown in the City of Washington. 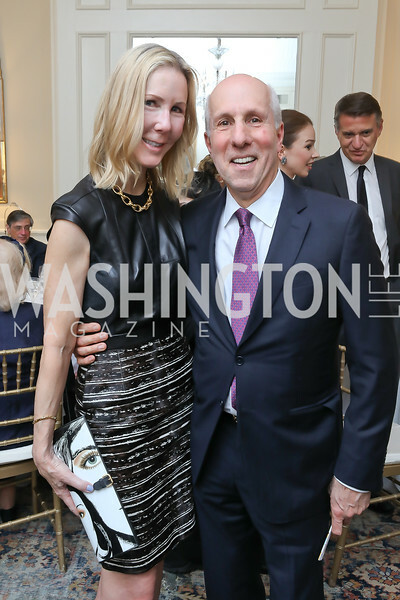 “The 2010 ball at the Russian Embassy was unlike anything Washington has seen in the better part of a decade,” Garrett Graff, editor of The Washingtonian, gushed on his blog afterwards. 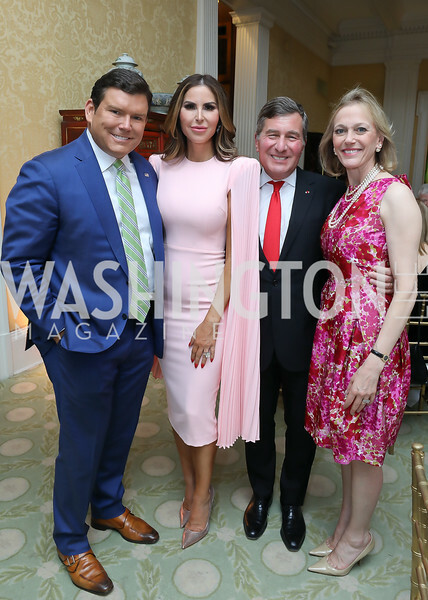 Instead of the requisite reception line, guests were greeted by costumed supernumeraries dressed as characters from Russian operas, including Boris Godunov, Lyudmilla, Tatiana and Onegin, Iolanta and Prince Igor. 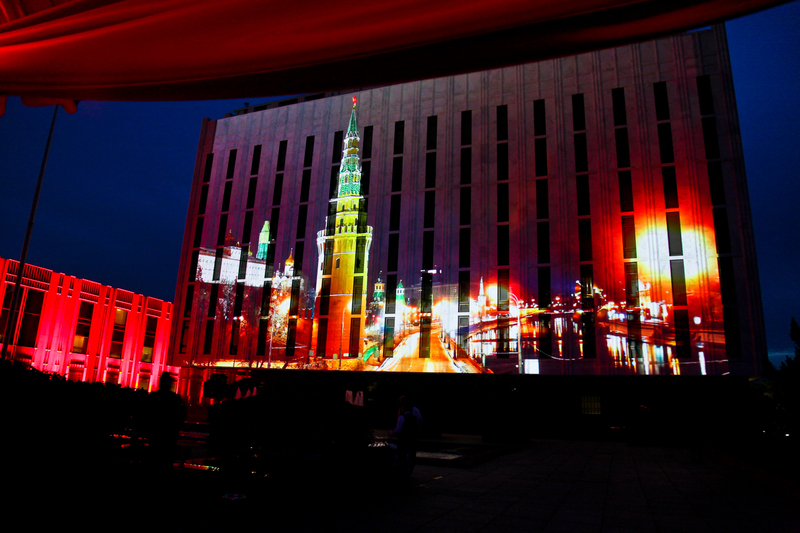 Projected images grace the Facade of the Embassy. Photo by Tony Powell. Entering the embassy on Wisconsin Avenue, about 600 guests garbed in black tie, tails and flowing ball gowns arrived from embassy-hosted dinners around the city and were dazzled by a spectacular Russian winter wonderland theme, marked by an entryway lined with white birch trees and accented by music from some of Russia’s most distinguished opera composers, including Tchaikovsky and Glinka. Guests strolled into the extravaganza by way of a grand staircase that streamed past an outdoor courtyard, where costumed snow maidens celebrated the Russian city of Sochi, host of the 2014 Winter Olympics. Brightly lit zorbs — transparent, rolling plastic globes that were nine feet in diameter and manned by entertainers — moved through the courtyard in a mesmerizing visual display, as artificial snow gently fell from the embassy’s rooftop. “The transparency of zorbs reflect the open, accessible and inclusive society that Sochi 2014 Games is helping to build,” Dmitry Chernyshenko, the president of the Sochi 2014 organizing committee, recently commented to the Russian press. The decor on the second level of the embassy, its ornate Golden Hall, was transformed into St. Petersburg’s Winter Palace. 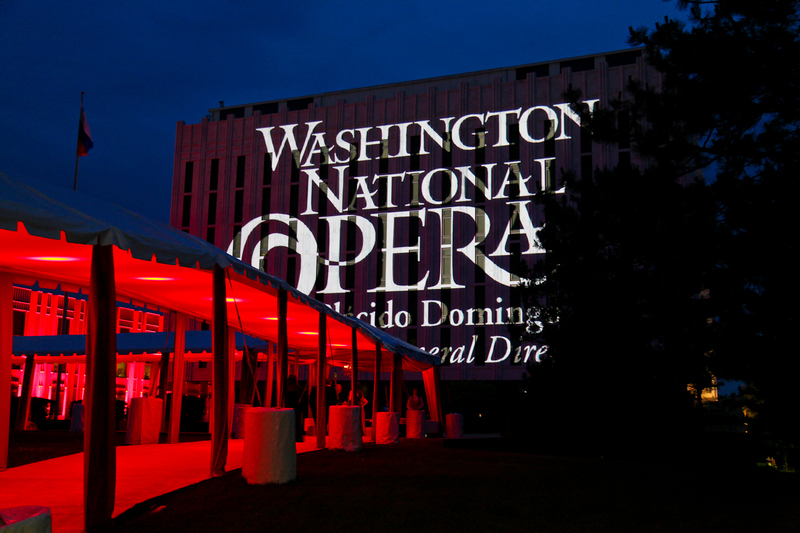 It was the backdrop for entertainment by New York’s famed bandleader Peter Duchin and his Orchestra. The evening began with a mesmerizing ballroom dance program with dancers in vintage costumes performing to the magical music of Tchaikovsky’s opera Eugene Onegin. 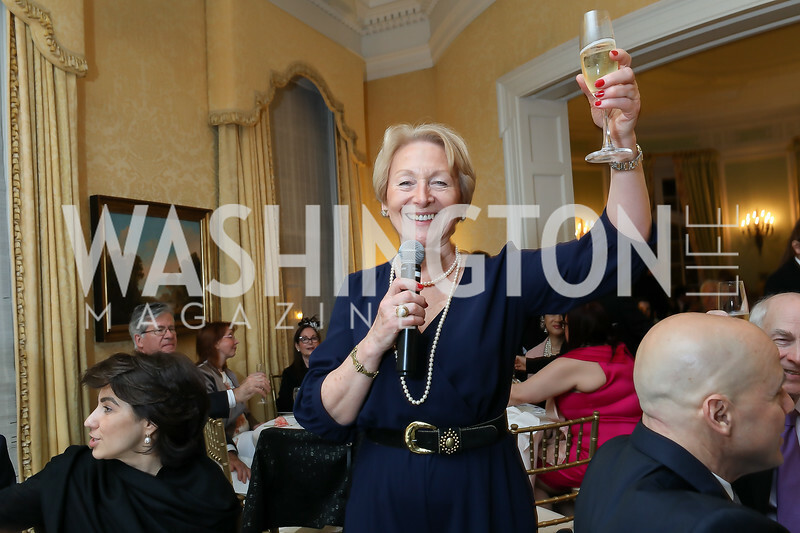 The mood then turned upbeat with Borodin’s “Strangers in Paradise” and other Russian-themed music that drew guests onto the dance floor. 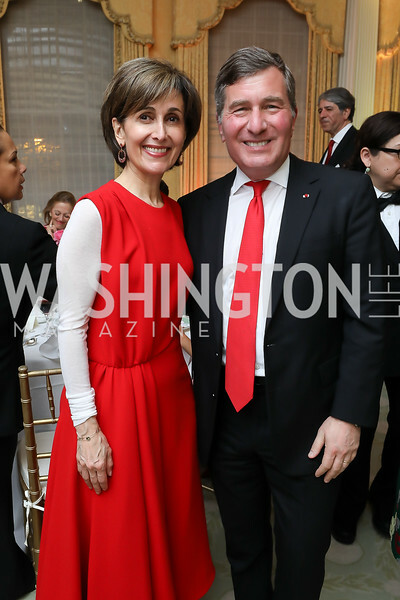 Guests donating $1,000 per person began the evening with private, formal diplomatic dinners hosted by 22 embassies across the city, including, among others, Morocco, Afghanistan, Denmark, Colombia, Portugal, Mexico, Great Britain, Argentina, Japan, Lebanon, Luxembourg and Spain. 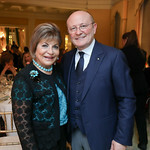 “The dinners are a longstanding and beloved Opera Ball tradition, and serve as an elegant and unique precursor to the ball itself,” said Michelle Pendoley, the Opera’s spokesperson. Following the pre-ball dinners, guests who paid $500 for the privilege to attend the ball only proceeded to the ceremonial building of the Russian Embassy. There they sampled a generous variety of Russian sweets, including pashka, strawberries Romanoff and Fabergé egg cakes by Sylvia Weinstock, one of the world’s top cake designers. 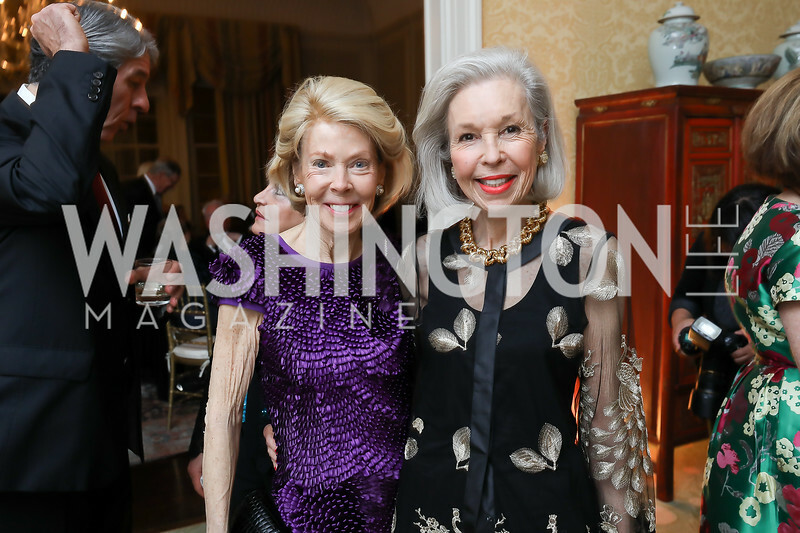 The evening’s guest list encompassed a broad spectrum of the city’s establishment, from the expected socialites to the power lawyers, business leaders and K Street types. Homeland Security Secretary Janet Napolitano was there, as was Chief Justice John Roberts and several members of Congress, like Senators Bob Bennett and Patrick Leahy, and Rep. Norm Dicks. 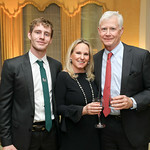 There were ambassadors fresh from their dinner hosting duties (such as Moroccan ambassador Aziz Mekouar, Great Britain’s ambassador Nigel Sheinwald and French Ambassador Pierre Vimont), and to local TV news celebrities just off their anchor duties, like ABC 7’s new weatherman Bob Ryan. 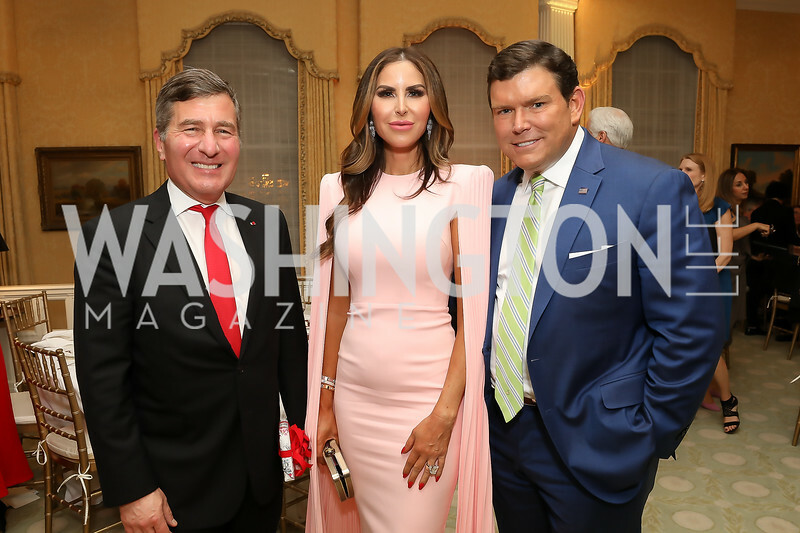 The extravaganza was nothing short of a one-of-a-kind journey through Russia’s history and culture. Elegantly appointed anterooms surrounded the ballrooms, each with its own theme and each highlighting heaping platters of Russian delicacies or drinks, like pepper-infused vodka. The embassy’s Yellow Hall morphed into a Russian Tearoom, featuring a display of Russian samovars. Russian pianist Alexander Izbitser serenaded guests sitting at café tables where they ordered up traditional Russian desserts like vatrushki, cheese blinchiki with cherry sauce and marozhenoye. 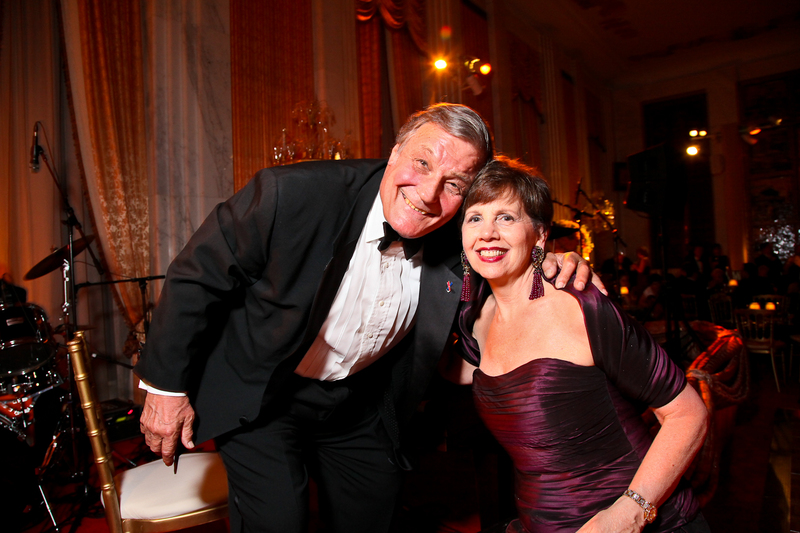 Society Bandleader Peter Duchin and Philanthropist Adrienne Arsht. Photo by Tony Powell. The facade of the Embassy of Russia Federation. Photo by Tony Powell. Next door’s Petrovskiy Hall, with its teal walls symbolizing the ocean and dedicated to the founder of the Russian Navy Tsar Peter I, was transformed into an ice palace for the evening, with eight-foot tall, 1,000-pound ice sculptures, heaping displays of seafood, chilled Russian vodka and huge tins of caviar fished from the Caspian Sea. 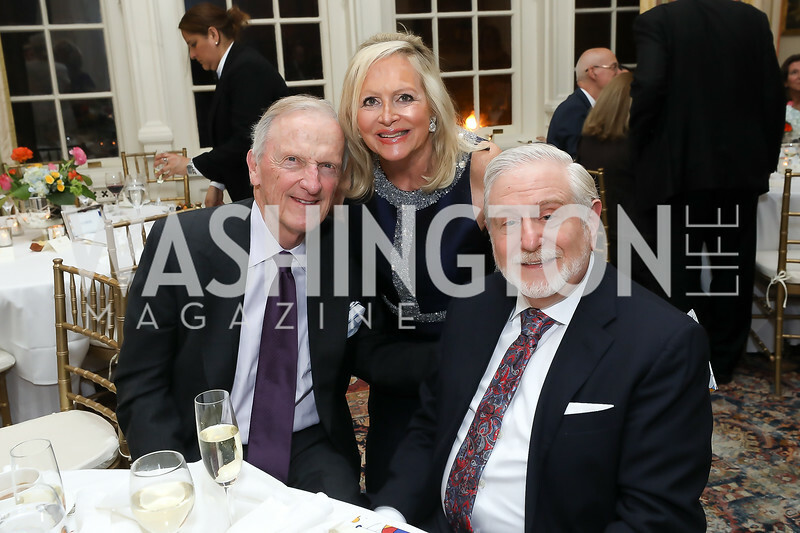 Palekh Hall became Tolstoy’s Library for the evening, celebrating the great Russian literary figure Leo Tolstoy. 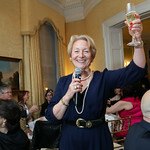 The library featured a champagne and cordial bar, as well as cake-replicas of the Russian writer’s leather-bound books, marzipan petit fours and chocolate-dipped cherries. One could not help be bug-eyed by the visual candy of it all, and many guests found themselves drifting from room to room in a wondrous trance, perhaps brought on by all the sugary desserts (and Russian vodkas). 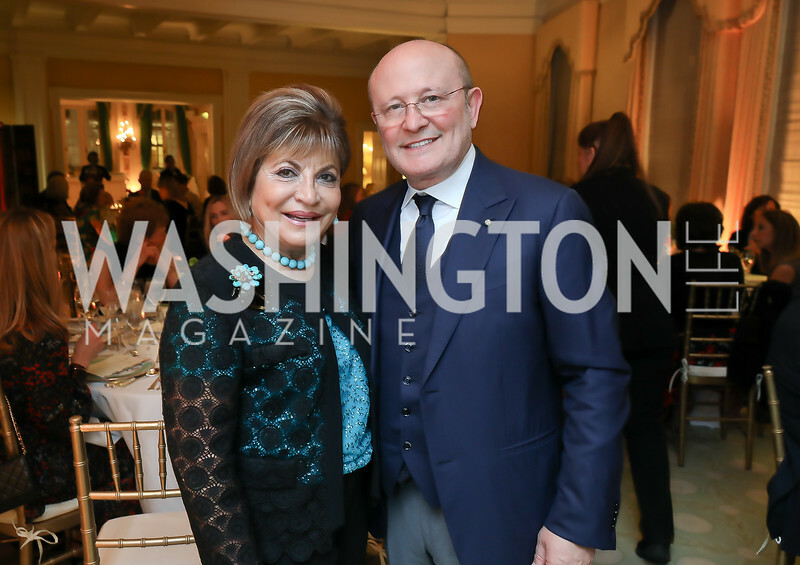 Celebrating Russia’s distinguished operatic traditions, the evening also include three 15-minute performances in the embassy’s theater by artists from Russia’s esteemed Bolshoi and Mariinsky opera companies. As guests streamed out of the embassy far into the wee hours of the next morning, white-gloved attendants passed out piping hot cups of black Russian tea for the ride home. Laurie Luhn, Tara Palmeri, Allison Priebe Brooks, Kate Michael, and Nikki Schwab. Photo by Tony Powell.